SEATTLE--(BUSINESS WIRE)--Jan. 11, 2017-- (NASDAQ: AMZN) – Amazon.com, Inc. and Chase today introduced the new Amazon Prime Rewards Visa Signature Card, the only card that offers 5% Back on all Amazon.com purchases and rewards everywhere else you shop, including 2% Back at restaurants, gas stations and drugstores, and 1% Back on every other purchase, available exclusively for eligible Prime members. Existing Amazon Rewards Visa Signature cardmembers with an eligible Prime membership will be upgraded to the new Amazon Prime Rewards Visa Signature Card and enjoy 5% Back on all Amazon.com purchases, a newly designed metal card and no foreign transaction fees when traveling abroad or for cross-border shopping. Prime members can begin taking advantage of these new benefits by using their existing card until their new card arrives. Cardmembers who are not eligible Prime members will now benefit from no foreign transaction fees and a refreshed card design, in addition to 3% Back at Amazon.com, 2% Back at restaurants, gas stations and drugstores, and 1% Back on every other purchase. Cardmembers can join Amazon Prime to earn 5% Back at amazon.com/prime. 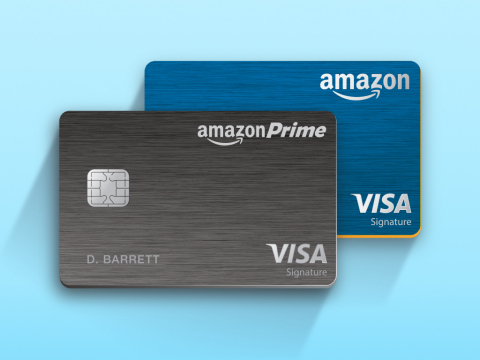 To learn more about the Amazon Prime Rewards Visa Signature Card visit: amazon.com/PrimeRewardsVisaCard. Tens of millions of Prime members around the world enjoy the many benefits of Prime. In the US that includes unlimited access to award-winning movies and TV episodes with Prime Video; unlimited access to Prime Music, Audible Channels for Prime, Prime Reading, Prime Photos, Twitch Prime; early access to select Lightning Deals, one free pre-released book a month with Kindle First, and more. Prime was built on the foundation of unlimited fast, free shipping and today, members receive Prime Two-Day Shipping on more than 40 million items, Prime Same-Day Delivery in 29 cities and two-hour delivery with Prime Now in more than 30 cities. Start a free trial of Amazon Prime at www.amazon.com/prime. Chase is the U.S. consumer and commercial banking business of JPMorgan Chase & Co. (NYSE: JPM), a leading global financial services firm with assets of $2.5 trillion and operations worldwide. Chase serves nearly half of America’s households with a broad range of financial services, including personal banking, credit cards, mortgages, auto financing, investment advice, small business loans and payment processing. Customers can choose how and where they want to bank: 5,300 branches, 16,000 ATMs, mobile, online and by phone. For more information, go to www.chase.com.